No posts about AlterPDF (https://www.alterpdf.net/), a Ghostscript based freeware for PDF management. The homepage info is not plentiful either. The installer can be easily (Uni)extracted and the resulting files weigh around 14MB, including the Ghostscript dll. Unfortunately, AlterPDF stores its settings in the system's registry, at 'HKCU\software\alterpdf' -- nothing a launcher can't solve, but making the program not natively portable. 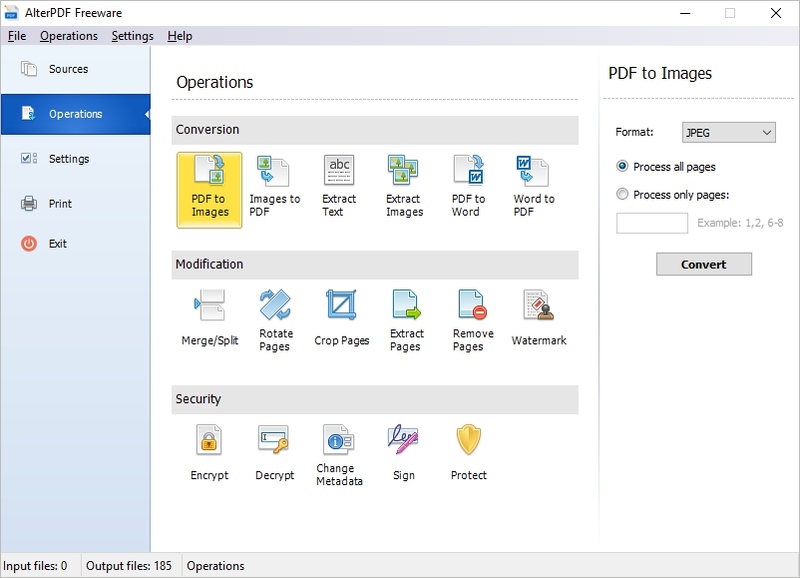 AlterPDF is a set of 18 PDF tools, which allows you to convert, modify and sign PDF documents. No need to install separate software for every task. AlterPDF latest release (currently v3.0) can be downloaded from https://www.alterpdf.net/download.html. Shame it's not portable, I would definitely get this added to the database. Thanks for testing. Should also note that the program has an integrated viewer, will print PDF files, and supports batch file processing. In particular, I'm curious about the PDF - to - Word functionality. Have you tested it? I've struggled to find a free or even inexpensive option for reasonably good output. As it stands There are some great PDF to HTML tools that you can then move into DOC format via LibreOffice, but I'd like something a little simpler. Regardless, this is definitely going to come in handy.